Pierre-Alexandre Davignon never imagined being introduced to the world of theme parks during his career. 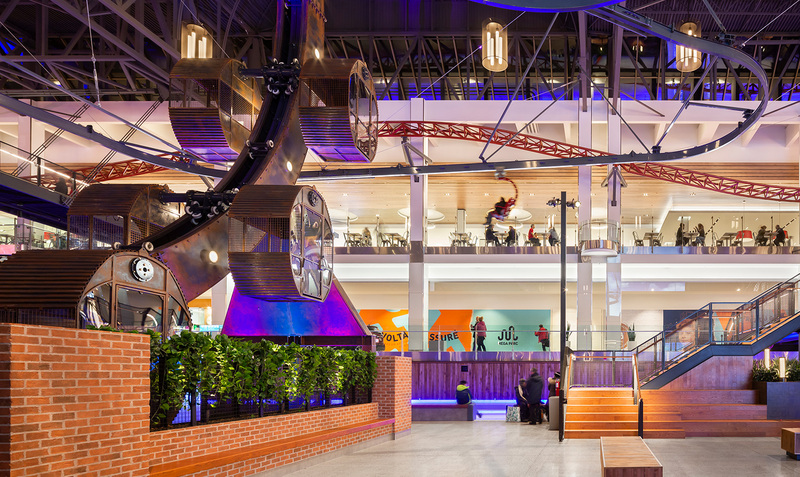 Until the day he was catapulted at the head of the redevelopment project of the Mega Parc at the Galeries de la Capitale, a shopping center owned by Oxford Properties Group. It was unchartered territory for the architect and partner at LEMAYMICHAUD and his team. “Planning and deploying rides is a fairly complicated thing: it’s an insider’s’ world. We had never done this before so we had to step out of our comfort zone to take up this challenge,” he says. During the three years of this mandate, the professional tackled and mastered the basics and specificities of amusement parks, places where, with cotton candy scents in the background, technical rigor prevails. To do this, he toured workshops that manufacture amusement rides in Italy, and twice visited the International Association of Amusement Parks and Attractions (IAAPA), in Orlando. These behind-the-scenes visits allowed him to cope with the learning curve of this environment, which was akin to a real life roller coaster ride. “I’ve learned that regulation in Canada is different from the countries where the products come from, that people who have the expertise to set up rides need to be paid before they even start working…” he enumerates in order to help us better understand the long climb and the twists and turns that peppered his fast-paced journey to understanding the ins and outs of this universe. Fortunately, he could count on marvellous partners at Oxford, including Sherif Masood, involved in both the development and construction of the project. It is also in his company that he discovered the workings of the trade at the IAAPA expos. It was well-invested time that helped solidify the foundations of an already fruitful collaboration. 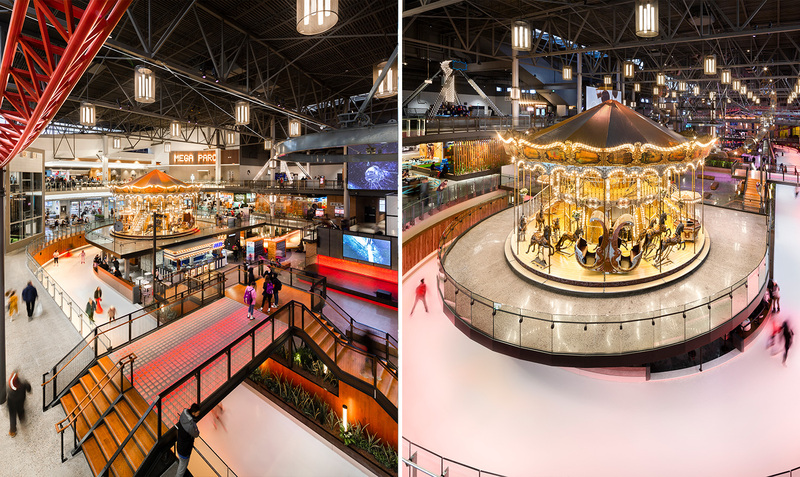 “Our esteem for one another, on both personal and professional levels, enabled us to carry out this project,” says Pierre-Alexandre Davignon, who has also participated to Oxford’s redevelopment of the empty Target space at Square One Shopping Center, in Mississauga. The Mega Parc is now open; the memories of this exhilarating professional ride leave both the architect and his client with a multi-faceted feeling. The thrill of the deliverables and the stress of the many technical constraints have given way to pride for the work accomplished and newly acquired knowledge, and the happiness of having developed a human and business connection that has proved invaluable. That’s what drove the team to do multiple jumps in the unknown, with mutual trust, to face the anxiety linked to delays and the unfamiliar territory, to give way to the pleasure of meeting challenges. Riding the roller coaster together, with arms in the air at every turn. Want to read other stories like this? All the better. Our memory is bright. We have many more of them planned, all inspiring.